If you think camping is only reserved for the old, think again. Camping is growing and changing rapidly. Although campgrounds are still popular among older people, an increasing number of millennials are also venturing outdoors to sleep under the stars. RV camping remains the most popular option when spending time with nature. So if you’re yearning to explore the outdoors with family, here are ten reasons to consider RV camping this year. If you don’t like RVs that resemble tour buses, you’re lucky. Today, you can get smaller RVs. 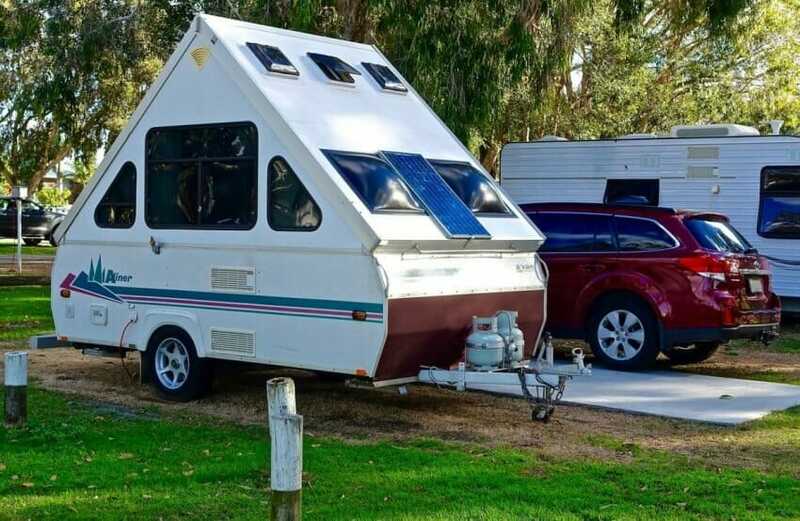 Pop-up trailers that you pull behind your car can provide all the RV features, such as kitchen amenities and indoor sleeping without going big. And if big spaces interest you, motor homes can give you more sleeping options and extra conveniences like full-sized refrigerators and bathrooms. Consider where you’re going and what you’ll do before choosing an RV. Most campers acknowledge that sleeping in an RV is more comfortable and easier than in a tent. Kids find it difficult to sleep in a hot tent or a busy campground. With an RV, you can put your kid to sleep in the best RV mattress while you enjoy the fresh air outside. Tent camping has limited space, so you cannot bring extra items such as kayaks, toys, and bikes. This can be very difficult for kids. Some of them will even prefer to stay because they’ll feel like their world will be incomplete without their toys. 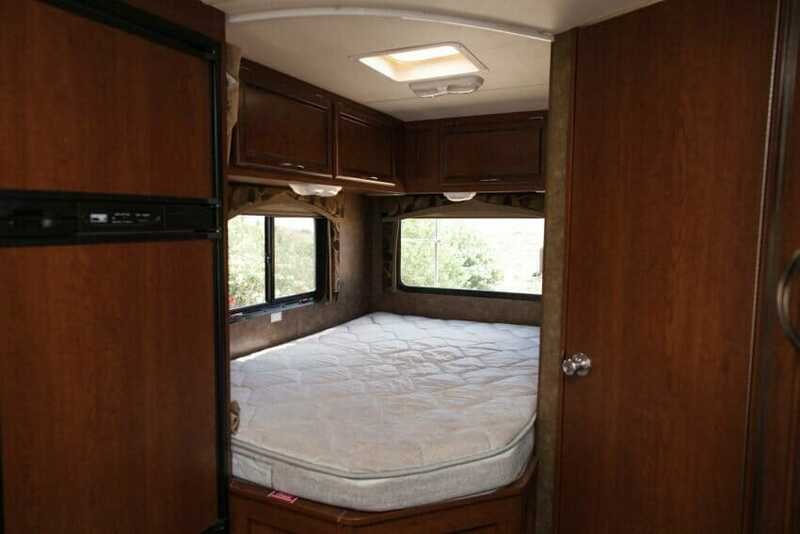 An RV, on the other hand, offers the much-needed space to store and carry all your camping essentials. This means you can even bump up your adventure and explore the water and trails. With an RV, you can travel as far as you want. 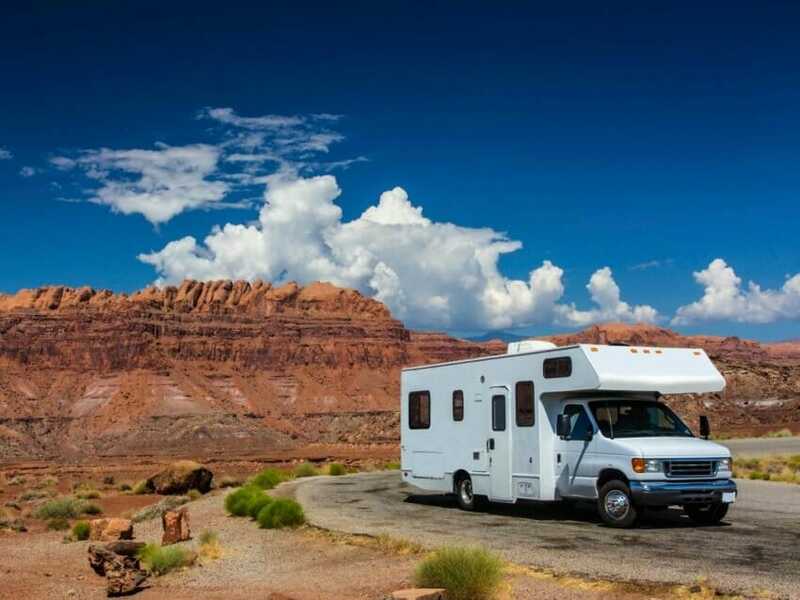 You can hit the road to some of the best national parks without worrying about where to sleep because an RV takes care of that. As long as your overnight parking option is well planned, you can virtually go anywhere. This gives you more flexibility to go with the flow knowing you can always head back. Rain and bugs are two things that can destroy your camping adventure. With an RV, you get an indoor space that gets rid of these problems. You can comfortably explore the outdoors knowing you’re safe from Mother Nature’s strikes. To cook comfortably while camping, you need a propane stove or a hot fire. These options are easily affected by bad weather or wind. RVs provide indoor cooking options that ensure cooking is not only comfortable but also consistent. Furthermore, most RVs have small refrigerators where you can keep your milk, fruits, vegetables, and microbrews. Just ensure you know the storage you need before stocking up perishable products. It is nearly impossible to go off grid completely for weeks, even on camping expedition. You need to check your emails, call friends, and family. RVs provide the options to charge your phone or laptop from your campground. Modern models even offer solar powered energy for this purpose. When camping with family, it can be challenging to share bathrooms. If you’ve ever assisted someone to potty break at night, you know how it feels. 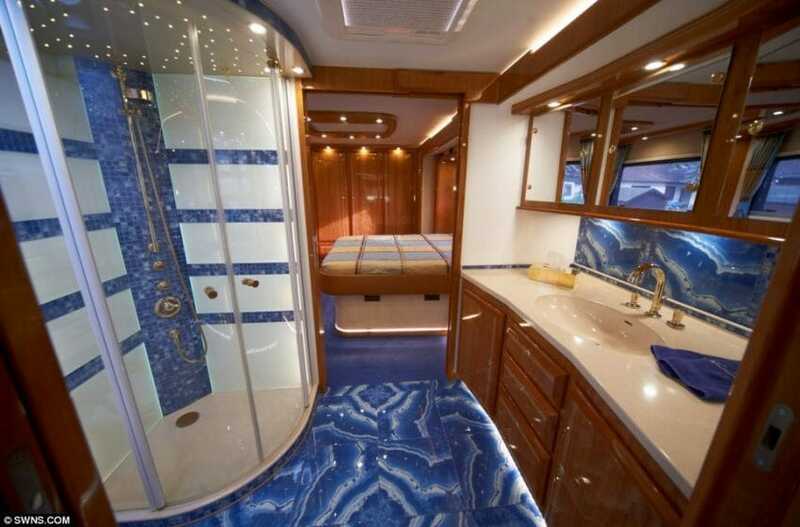 Luckily, most RVs come with a bathroom so you don’t have to worry about using communal bathrooms. When packing a minivan for camping, someone may have to sit between a camp stove and a lantern due to small space to pack a tent, pillows, scooters and sleeping bags. That can make the actual travel uncomfortable. But when using an RV, you have enough space. 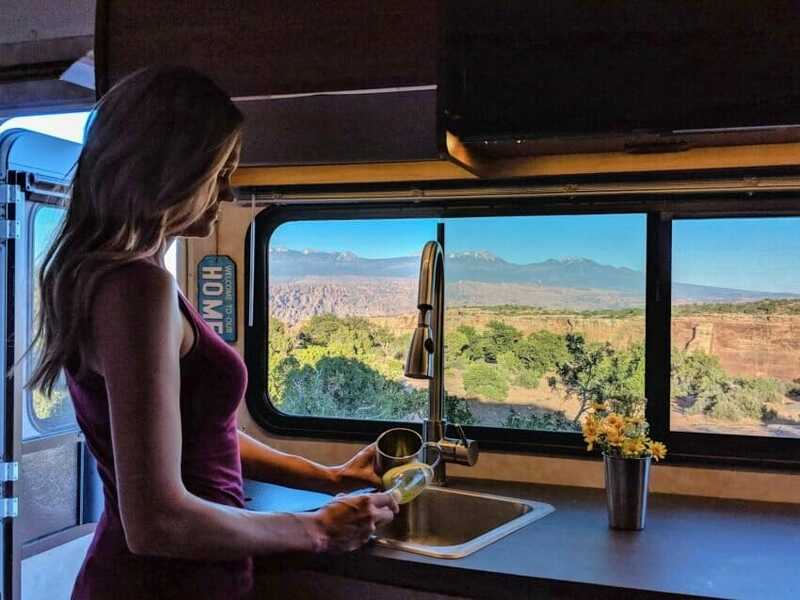 In fact, families that use bus-style RVs tend to enjoy the actual journey to the campground by watching TV and even playing cards. Traveling with your furry friend can be challenging when you’re going to sleep in a tent. That has been a major challenge facing campers who visit kid-friendly campgrounds. However, an RV offers you a great way to tag your pet along so he/she can also enjoy the outdoors. 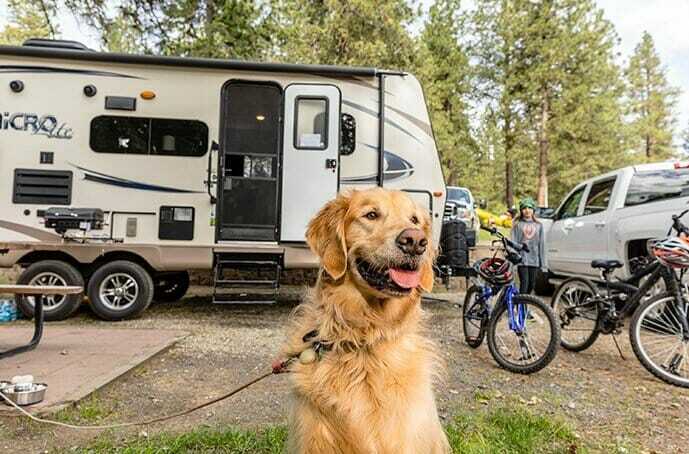 Before doing so, make sure you understand all the rules that can limit your four-legged friends from camping with you. It is also wise to consult a vet to certify that your pet is fit and healthy to go on the trip. Are you planning for RV camping? Or have you tried it before? Please share your thought and experiences on the comment section below!